Stress Test – Part 2 - How Are You Holding Up? For some of us, the last time we were truly relaxed and unstressed was when we were children. Before work and family obligations, uncertainties about the future or worry about life in general began to eat away at our mental wellbeing, most of us were remarkably well adjusted. Luckily, a little effort and the right attitude can bring us back to that childlike state of calm, as we manage the inevitable stress of daily living. When it comes to dealing with everyday worries, how are you holding up? Below you'll find a quick quiz to take a reading of your current stress levels and coping mechanisms. Once you have an idea of your current situation, it'll be easier to apply some of the stress-management techniques that follow. Decide if your answer is either "yes" or "no" for each statement. It is crucial to be honst - after all, you are doing this for you, the results are private and will help you going forward. I have a supportive group of friends and family I can turn to when things get difficult. I seldom get colds and flus. I generally feel calm, organized and in control of my life. I know when I'm feeling overwhelmed and have to take a step back to gather my thoughts before continuing with the day's activities. I sleep well and usually for around 7 or 8 hours a night, most nights. I generally complete the tasks I assign myself every day. I use my leisure time well and have hobbies I enjoy. I know when to say "no" to a task I know I can't realistically do. I have time for myself every day where I just sit, read, reflect or meditate. I have something to look forward to in my future. Other people's opinions are important to me, but in the end I make my own decisions and go my own way. I don't enjoy my work 100% of the time, but I am satisfied in general. I feel like I have effective ways of dealing with life's minor irritations. All considered, I don't have too many regrets about the past. I live a generally healthy lifestyle, eat well and exercise. Congratulations, you're keeping on top of the worries life throws your way and have stress management skills in place that keep you grounded and in control. You probably have a good handle on daily stressors, but occasionally have a specific weak spot that causes worry and anxiety, for example work or relationships. The challenge for you will be to develop worry management skills in this particular area. You could definitely benefit from taking stock of your current worry management techniques and finding ways to better support yourself. Whether you need to actively seek to reduce the sources of worry in your life, find better ways to cope with inevitable stress or both will depend on your unique life situation. Worry has clearly gotten the better of you and is threatening to damage your quality of life and wellbeing. Stress at this level is typically not sustainable, and you may find that serious changes are in order. What Were These Questions About? 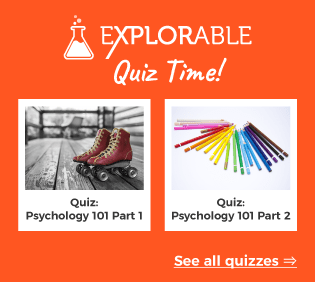 In the quiz you've just completed, you might have noticed that some of the items were not about your external world alone and how stressful it may or may not be. Rather, the statements were concerned with how you interpreted the stressors in your life. Since anxiety and worry are a result of how changes in our environment are perceived, it makes sense to start there when trying to reduce the amount of stress and worry. Well, no matter what your current situation, there are always ways to improve on your general wellbeing, specifically the way you tackle the worries of everyday life. Read on for how you can start to develop techniques to enhance your own resilience against worry.